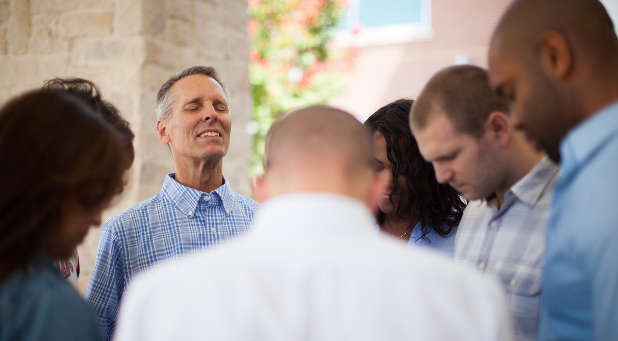 There is nothing greater than the power of prayers for the growth and health of your church. Your leadership matters, but God's presence makes all the difference. It's the combination of the two that brings incredible results. "O Lord God of Hosts, hear my prayer, and give ear, O God of Jacob. Behold, O God our shield, and look upon the face of Your anointed. For a day in Your courts is better than a thousand elsewhere. I had rather be a doorkeeper in the house of my God than to dwell in the tents of wickedness. For the Lord God is a sun and shield; the Lord will give favor and glory, for no good thing will He withhold from the one who walks uprightly. O Lord of Hosts, blessed is the man who trusts in You" (Psalm 84:8-12, MEV). You can sense the plea of passion! Isn't this at the core of how we pray? We want God to hear our prayers and we want to hear His response. This is the beauty of communion with God. It is the blessing of being in relationship with the Father. What an incredible gift to receive daily guidance and wisdom in order to lead! We constantly seek the Lord's favor, His presence and power for our leadership so that His Kingdom may be advanced! Praise and worship is carried in the acknowledgement of who God is as "Almighty" and "sun and shield." You can hear the servant heart of gratitude. It's so important that we remember our leadership was granted to us and that being a servant leader is a great privilege. God hears all our prayers and responds. You and I can tap into the real power our church needs to take new territory. Prayer is not a new idea to you, but perhaps God is inviting you to lean in more. For the original article, visit danreiland.com.